Mykonos and Santorini are among the most popular and beautiful islands not only in Greece but in the whole world! 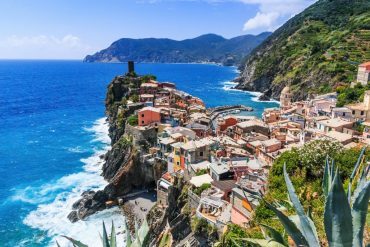 White washed houses and crystalline blue waters make for a heavenly backdrop on both islands but if you don’t have much time, how do you decide which island is the best for you? A lot of people who visit Greece often wonder“Which is better: Mykonos or Santorini?”. In this post I will try to answer some questions regarding those islands, so that you can decide where you want to go. Check out my 10 day Greece itinerary that includes Athens, Mykonos, and Santorini. Mykonos or Santorini where should I go? Which Island Is Easiest To Get To: Mykonos or Santorini? How much does it cost to go from Athens to Mykonos and vice versa? How much does it cost to go from Athens to Santorini and vice versa? Which Island Has The Best Views: Mykonos or Santorini? Which Island Has The Best Beaches: Mykonos or Santorini? Which Island Has The Best Activities: Mykonos or Santorini? Which Island Has The Best Bars and Nightlife: Mykonos or Santorini? Which Island Has The Best Shopping: Mykonos or Santorini? Which island is better to go for a honeymoon: Mykonos or Santorini? 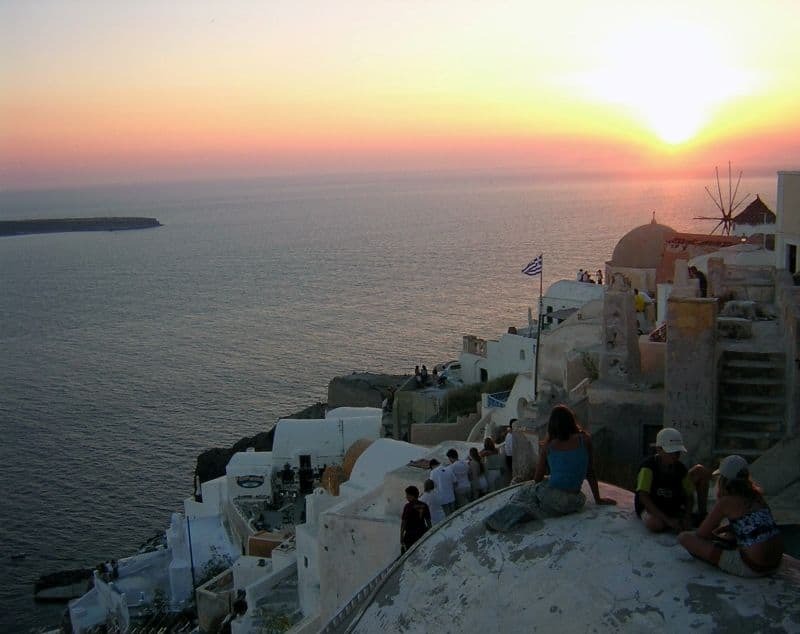 Which island has a better sunset: Mykonos or Santorini? When Is Best To Visit Mykonos and Santorini? Can I Visit Both Mykonos and Santorini In One Trip? Both Mykonos and Santorini are really easily accessible as they each feature a national/international airport as well as at least one ferry port. Short haul flights from many European destinations fly direct to Mykonos and Santorini, while flights from the US or other long-haul destinations may require a stopover in Athens or another major European hub. You can get a ferry to Mykonos from two ports in Athens: Piraeus and Rafina. From Piraeus port you have two choices: the speed boat that will take you to Mykonos in 2h 30m and the regular boat that takes approximately 5h to reach Mykonos port. From Rafina port you again have two choices: the speed boat that takes around 2h 15m and the regular boat that will take you to Mykonos in 4h 30m. Click here for the ferry schedule and to book your ferry tickets. You can also get a ferry to Santorini from Athens Piraeus port; a service that runs regularly throughout the year (weather dependent). From Piraeus port you have two choices: the speed boat that will take you to Santorini in approximately 5h depending on the company, and the regular boat that takes approximately 7 h 30 m to reach Santorini port. 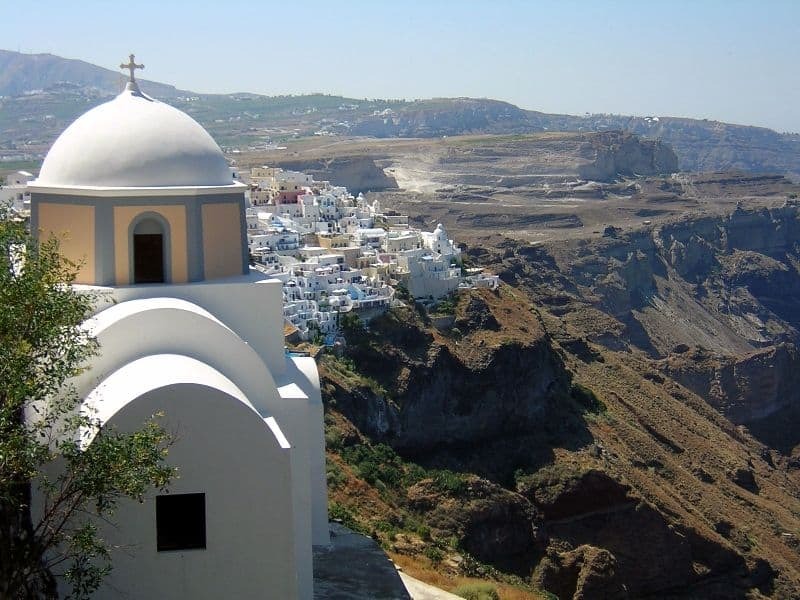 You might be interested in: How to get from Athens to Santorini. If you get sea sickness easily then you should take the regular boat because when there is wind the journey can be a little rough and the speedboats feel the impact of this much more than the larger ferries. If you are travelling from other ports on the mainland or other Greek islands, you can check out ferry schedules, times and prices here. Please note that you might find a small difference in prices depending on the ferry company. 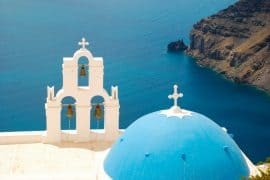 Deciding which island out of Santorini and Mykonos has the best views depends on what type of landscapes you like and what you want to see during your trip to the Greek Isles. Mykonos has long swathes of beach and plenty of quaint seaside streets, while Santorini has epic caldera views unlike anywhere else in Greece. Santorini also features volcanic beaches, vineyards and towns set high above the caldera which allow for more impressive panoramic views than perhaps anywhere in Mykonos. On the whole, Mykonos has better beaches than Santorini, with white sand and crystal-clear waters which are considered some of the best in Greece. There are numerous beaches to choose from, with some lying just meters from the centre of the main town and others that are further out but either host epic beach parties or a quiet and family-friendly. Click here for the best beaches in Mykonos. On the other hand, Santorini’s beaches have unique characteristics because of the volcano which means in Santorini you can find beaches with black pebbles and even red sand. This makes them a little different to classically beautiful beaches but can be great for photography. Please note, however, that not many of Santorini’s beaches are that accessible and you’re more likely to admire beaches and volcanic sands from above than to be reclining on the sand and swimming in the sea. Click here for the best beaches in Santorini. This one again depends on your style of travel and the things you like to do while on vacation. 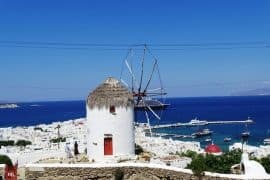 If you want to kick back on the beach for most of your holiday, then you’ll probably think Mykonos is best, while if you want to explore vineyards and boat trips, you might prefer Santorini. The number one thing to do in Mykonos is to soak up the sun and hit the beach but there are other things to do too. Mykonos has a lovely old town that has been kept in pristine condition so it is wonderful to meander through the winding streets, stopping every now and again to take photographs. Another photogenic spot in Mykonos is Little Venice; a colourful collection of houses that lie on the waterfront and are backed by traditional Greek windmills. While not strictly in Mykonos, the nearby island of Delos is another popular attraction that draws visitors to Mykonos every year. Delos is probably the most important archaeological island in the whole of Greece as it was home to an entire community and much of the remains are still visible today. You cannot stay on the island of Delos as it is a UNESCO World Heritage Site and the entire complex is covered in archaeological ruins, but it can easily be reached by boat from Mykonos. Finally, Mykonos’ nightlife is another major draw to the island but we’ll come to that later. You might want to check out: What to do in Mykonos. Aside from walking around the picture-perfect village of Oia and taking photographs of sunsets, there are a number of historical and cultural activities available in Santorini to keep you entertained. The ancient city of Akrotiri and the Museum of Prehistoric Thira both offer a fascinating insight into the island’s history before the volcanic eruption destroyed the Minoan village. If you fancy a spot of wine tasting, Santorini has you covered as this island is one of the few Greek islands that is able to produce great wine crops thanks to the fertility of the volcanic soil. 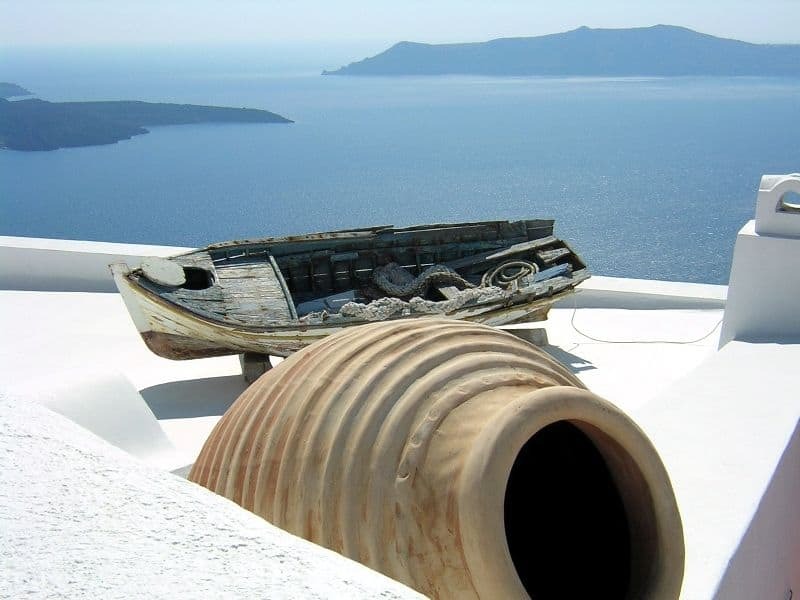 Boat trips are another fun activity available in Santorini, so whether you take a small boat out for a spin around the island yourself or opt for a group trip into the caldera, you will certainly enjoy the incredible views of this amazing island from a whole new angle. 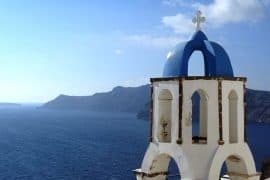 You might also like: Things to do in Santorini, Things to do in Oia Santorini, Things to do in Fira Santorini. Mykonos has a big nightlife scene with numerous clubs and bars for all tastes and genres. It is considered to be a party island with big-name DJs coming here during the peak summer months. Mykonos has long been a gay-friendly destination and as such there are a whole host of LGBT-friendly bars and clubs that allow you to party until the early hours. Santorini on the other hand has a more relaxed vibe, with a handful of bars and clubs but on the whole it is very quiet compared to Mykonos. The island has a very upmarket atmosphere and is best for enjoy a few classy cocktails rather than partying the night away. Neither island is known for having large malls as this is not the style of Greek Island shopping, but you will certainly find stylish boutiques in both Mykonos and Santorini where you can purchase hand-made souvenirs and sophisticated beachwear. Mykonos especially is known for having high-end boutiques and designer brands that draw in the jet-set crowd and yachties. Santorini is considered one of the most romantic places in the world making it an ideal place for weddings and honeymooners. Many travellers even come here with their wedding dresses just to take photos with the town of Oia and the stunning caldera in the background! Both Mykonos and Santorini offer an amazing selection of upmarket hotels and restaurants, but arguably Santorini’s chic stays just nudge it thanks to their private pools overlooking the caldera and exquisite interiors. Although the sunset from Mykonos is beautiful and there are some great bars that offer panoramic views and delicious cocktails at sunset, Santorini’s sunset is considered one of the best in the world. A lot of people gather every night in Oia to see the sunset and while this may be a bit busy for some, if you can manage to find a spot without too many people in front of you, you will be blessed with a truly breath-taking sunset! 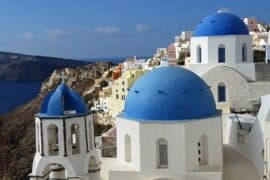 With a score of 4-3 it is pretty tight but Santorini just tips the scales based on its sunsets, activities, views and suitability for honeymoons. Of course, this is by no means a definitive list and there are sure to be things that Mykonos has over Santorini and vice versa. In the end, it really depends on what your priorities are, what you’re looking to experience and the length of time you have available to you. Both Mykonos and Santorini lie in the Cyclades chain of islands and are therefore blessed with glorious weather throughout the summer season. As Mykonos’ beaches and summer parties are one of the main draws, it is best to visit between May/June and September to enjoy the very best weather. Because Santorini offers more in the way of sight-seeing than beaches, it can be enjoyed year-round with the best time being between April and October. Please note that both islands get extremely busy during the months of July and August with large cruise ships arriving daily which top up the already busy numbers on these small islands! If you can avoid travelling during these months, I would recommend it! 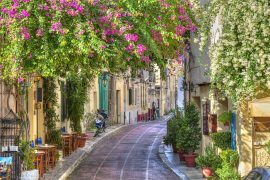 While it is best not to try and visit one island as a day trip from the other (as ferries can take a few hours), you can certainly combine both islands on a multi-stop trip to Greece. Travel between the two islands is super easy with regular ferry services travelling back and forth. islands is very quick and simple. 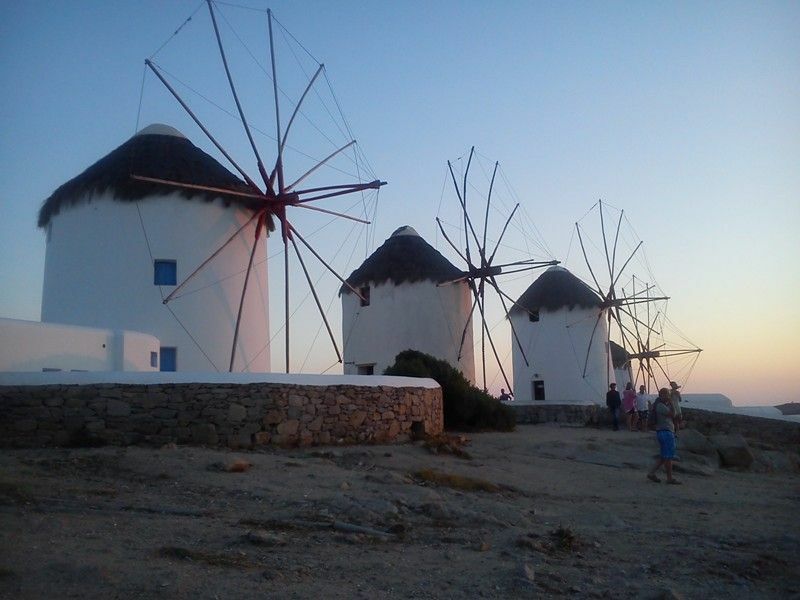 It is difficult to find budget accommodation in Mykonos especially during the high season (July and August). Book as early as possible and try to avoid these months. Galini Hotel is located in Mykonos Town, 150m away from the beach. It offers basic accommodation with air-conditioning, fringe, and free Wi-Fi. Manolia View Mykonos is located is located 2 km away from Mykonos New Port. It offers self-catering accommodation with great views of the Aegean Sea. It offers spacious rooms with a pario or private terrace, free Wi-Fi, air-conditioning and kitchenette. Other hotel amenities include a swimming pool and a sun patio. Milena Hotel is located 500 meters away from Mykonos Town and close to the airport. A bus stop is next to the hotel. It offers clean rooms with air-conditioning and Wi-Fi access. 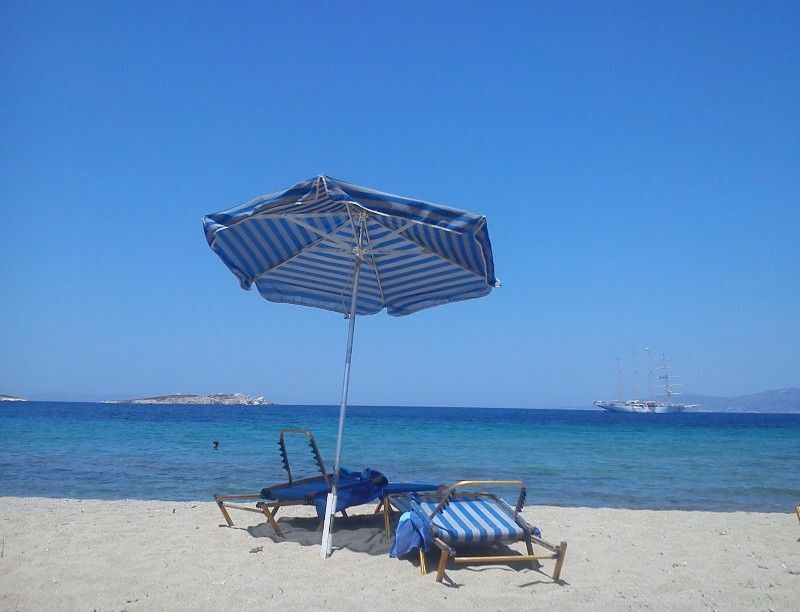 With Inn is located on the sandy beach of Tourlos, 1 km away from Mykonos port. It offers spacious rooms with sea view, air conditioning, free wi-fi and mini fridge. Kouros Hotel & Suites is perfectly located 10 minutes on foot from Mykonos Town this luxurious hotel offers spacious rooms with private terraces overlooking the sea and the town. Hotel amenities include a swimming pool, amazing breakfast, free Wi-Fi, free airport shuttle and parking. 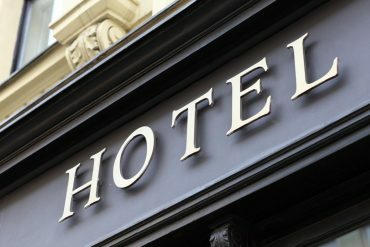 Check out the latest prices and more details at Hotels.com or Booking.com/ Read my review. Overlooking the popular Platis Gialos beach Myconian Ambassador Relais & Chateaux Hotel offers stylish rooms, an outdoor swimming pool, excellent spa services, and a gourmet restaurant. Bill & Coo Suites & Lounge is a 5-star hotel that offers luxurious sea view suites, an infinity pool, a gourmet restaurant and spa treatments. It is conveniently located in Megali Ammos beach and a 10- minutes walk from Mykonos Town. Located just 200 m away from the central square of Fira this guesthouse offers rooms with free Wi-Fi, air conditioning, and a fridge. The hotel is next to many restaurants, bars, and shops and is a good choice for travelers looking for a budget friendly hotel in Santorini. Situated just 80 m away from Perivolos beach, Smaragdi Hotel offers spacious studios and apartments with a kitchenette, free wi-fi, and air conditioning. Other hotel amenities include a swimming pool with a pool bar and a hot tub. The center of Perissa village with the restaurants, shops, and bars is 800 m away. This is another budget-friendly accommodation option in Santorini. Located 12km from Fira and 4km from the archaeological site of Akrotiri, this romantic all-suite hotel is situated on a clifftop and enjoys breathtaking scenic views. Its spacious and modern rooms feature free Wi-Fi, flat-screen TVs, minibars, whirlpool tubs and crystal-speckled ceilings. A complimentary breakfast can be served in-room, while an infinity pool, a bar, and an elegant restaurant are included in its amenities. Built on the side of a cliff, Canaves is a polished all-suite hotel 10km away from Fira. Within the rooms are complimentary Wi-Fi, flat-screen TVs with DVD players, minibars, tea and coffee making facilities and balconies overlooking the blue. Free breakfast and parking are available for all guests, as well as access to an infinity pool, restaurant, bar, gym and open-air spa. I believe that both islands deserve your visit so if you can explore both Mykonos and Santorini you won’t be disappointed. However, if you only have time for one island, I think I would choose Santorini just due to its unique landscape and picture-perfect views. Have you ever been to Mykonos or Santorini? Which island do you like best? Do you have any other questions regarding your holidays to the islands? Feel free to ask me. 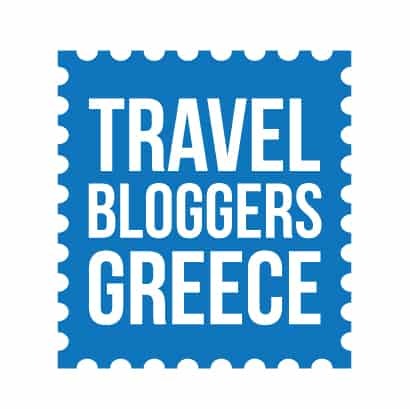 Tip: Traveling to Greece? Don’t forget to buy a travel insurance. Get a quote here. Disclaimer: This post contains affiliate linkσ. This means that should you click on certain links, and then subsequently purchase a product, I will receive a small commission. It costs nothing extra to you but helps keep my site running. Thank you for supporting me in this way. Great site- very informative! I’m planning a trip with my cousin to mykonos and santorini next June. Do you suggest we do mykonos or santorini first? Trying to minimize travel when we leave. Also, any suggestions on we’re to stay in mykonos, we’re total beach girls but not huge partiers; a happy medium I suppose! Hello Cynthia, thank you for your comment. I suggest that you visit Santorini first which is farther. By ship, you will need between 5 to 7 and half hours to get there. I suggest that you look into flights from Athens. 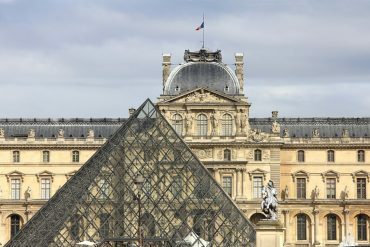 Ryanair has cheap flights so have a look around March – April next year. You can also return by plane from Mykonos if you want. Again Ryanair flies from there. A boat usually takes between 3 to 5 hours depending again on the type. In Mykonos, you can stay in a beach resort then. You can try Ornos which is close to town has a nice beach and many amenities or Platys Gialos and Agios Ioannis. Hi Chrissy, thank your for your post, it was very healpful to plan my trip. I`m planning to visit Athens, Santorini and Mykonos during August, which place is better to stay for a weekend ? 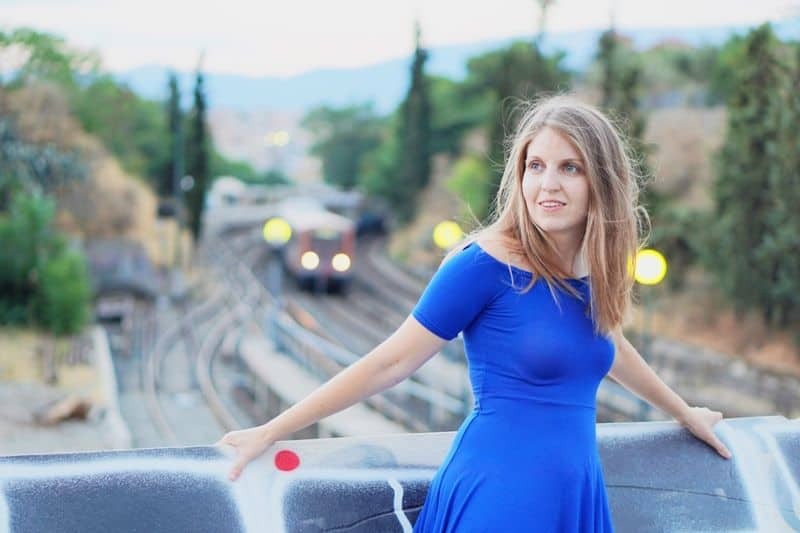 Hello and thank you for your comment.Are you visiting all the places mentioned or you are in Greece for a weekend and want to choose between those? Chrissy – this is such a helpful blog! Thanks. My husband and I are thinking about going to Santorini in May. We’ll be coming from Athens and we’re trying to decide between 4 or 5 nights there. Is there anything you’d suggest for food or activities during the day? We like to be active, see great views, go to great wineries, eat at good restaurants, or anything unique or fun to do in the area. We’re not familiar with Santorini, so let us know if there’s a certain area you’d recommend for staying, eating or doing activities. We’re leaning towards staying at nicer hotel since we’re only there a few nights. Thanks! You need a reservation in both. There is no view but the food is good! Also visit the archaeological site of Akrotiri Finally if you want to sail around Santorini the 5 hour catamaran sunset cruise is one of the best. Since you are flying in and out of Athens yyou can take the plane to get to Santorini. You will be there in 30 minutes. If you have more questions let me know in the comments or email using the contact form.